Skin of the cleavage can distort and lose its elasticity during sleep or exercises. If you noticed that marks after your pillow do not disappear as fast as they used to, then you probably should change your skin care routine. It is a signal that skin is losing its elasticity, its thickness is changing and collagen fibres weaken. 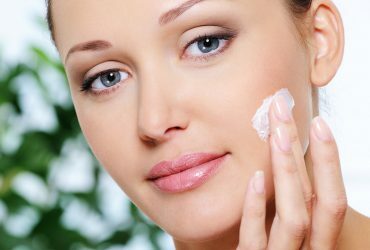 Intake of small amounts of fluids and improper skin care results with wrinkles and discolourations. 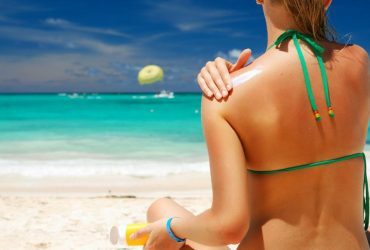 Long sunbathe also contributes to the worsening of cleavage skin condition. If your skin seems dull, deprives of glow and loose then it probably deals with progressing ageing processes, free radicals and low level of hydration. Do you really care about healthy and beautiful skin of cleavage? If yes, then it is time to go to beauty parlour for so called combination therapy. It is based on combining various treatments and cosmetics in order to achieve as much satisfactory results as it is possible with almost immediately visible effects. One treatment supports and complements another. Great solution is thermal lift treatment. What is it? Thermal lift is a toning up treatment, which regenerates, restores collagen fibres and supports elastin and collagen production. During procedures, skin is tightening up, regains young appearance, wrinkles are smoothed and thickness of skin is being improved. Thermal lift is best to repeat every two weeks. On another visits in beauty parlour, beautician applies nourishing preparations on the skin of cleavage. They fulfil role of fillers, which are expected to deeply moisturise skin, smoother and regenerate it. Substances contained in the preparations accelerate collagen production and deeply nourish skin of cleavage. Thermal lift treatment is absolutely non-invasive. Of course, the most simple method for preservation of beautiful skin of cleavage is everyday skin care. That is why you should perform peeling, cleanse and hydration of this part of the body on the daily bases. This way cleavage will be perfectly smooth, conditioned and protected against further damages. In the Summer use creams with sun filters thanks to which you will avoid wrinkles and discolourations.